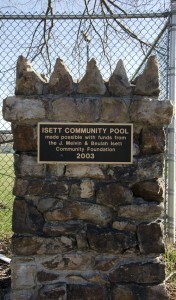 The Isett Community Pool is named for Melvin Isett & the Isett Foundation contributes annually. Construction of the community pool was completed in 2011. The pool is open seasonally from Memorial Day through Labor Day.